Here Are the Top 5 Reasons To Get a Smile Makeover In Cocoa Beach! These days, it can seem like everywhere you look you see perfect smiles. But the truth is that very few people are born that way! 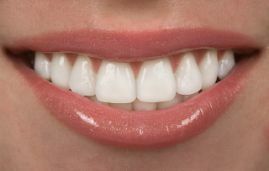 The vast majority need one or more cosmetic dental procedures to help their smile look its best. Cosmetic flaws can range from small things like stains and discoloration to more involved issues such as crowding. But, regardless of which issues you’d like to correct, there are simple procedures that will deliver great results, faster than you would expect. Keep reading to learn about 5 of the most common reasons for a smile makeover in Cocoa Beach and what your treatment options are! Any teeth that have been weakened by tooth decay, age, or hard, crunchy foods are susceptible to chipping. This not only puts the tooth at risk for breaking again but also adds years to your appearance. For mild to moderate chips, a simple procedure called bonding can be done in just one appointment to restore the tooth’s original size and shape. It’s done using the same tooth-colored material that’s used for fillings on the back teeth, so it’s not only strong, but will also blend in seamlessly with the rest of your smile. For more severe chips, porcelain veneers may be recommended, which are strong, thin “shells” that are adhered to the front surface of teeth to give them a whole new appearance. Staining and discolorations are one of the most common issues that people want to address, and take-home whitening is a great way to safely whiten your teeth several shades. How does it work? First, impressions for custom trays will be taken, which you’ll pick up 1-2 weeks later. Then you simply fill them with professional-strength whitening gel and wear them at home for about 10-14 days (30-60 minutes a day). The way your smile looks is directly related to your oral health, so making sure your teeth and gums are healthy is the first step in any smile makeover. For example, millions of people have experienced tooth loss, and even missing just one tooth impacts overall oral health. In most cases, implants are the best replacement option because they provide superior strength, stability and longevity compared to options like bridges or dentures. If you notice any dark or soft spots on your teeth, you may have cavities. Depending on the severity of the decay, treatment could be as simple as a filling or something more involved like a dental crown. The earlier cavities are caught, the easier and less expensive treatment will be. Finally, keep in mind that every patient is unique, so the best way to know what will work best for you is scheduling a consultation with a cosmetic dentist. Regardless of which treatments are right for you, a smile makeover is an investment that will pay off for a lifetime! Dr. Gary C. Nawrocki has over 40 years of experience as a general and cosmetic dentist in Cocoa Beach and loves seeing the positive impact that a great smile has on his patients’ lives. He knows that dentistry isn’t a one-size-fits-all approach and works closely with every patient to create treatment plans that serve their needs the best. If you have any questions, he can be reached via his website or at (321) 783-7514. Comments Off on Here Are the Top 5 Reasons To Get a Smile Makeover In Cocoa Beach!